Police officers from various departments were sworn in or promoted during a city hall ceremnoy on Tuesday. 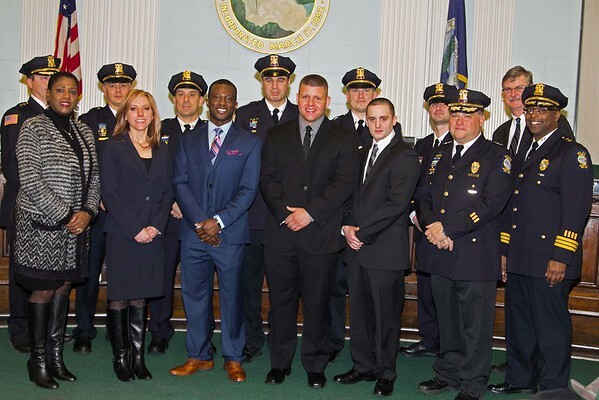 From left front: City Administrator Donna Owens, Ashley Newberry, Rashad Travis, Michael Maio, Pat Ciccarelli, Police Superintendent Bryan DalPorto, Carl Cain. Back row: Nick Ligammari, Roger Freeman, Capt. David Cook, Michael Trane, Tim Ferchen, Vincent Granto, Mayor Paul Dyster.